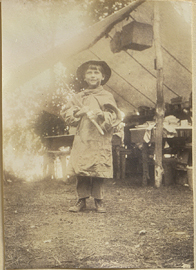 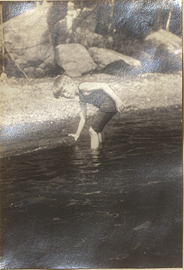 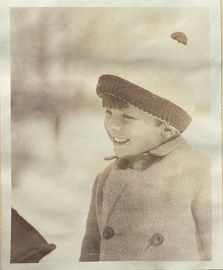 Wilder Penfield Jr. with a fishing pole, photograph. 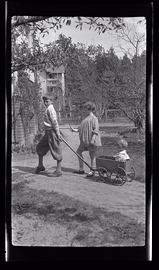 Wilder Penfield Jr. with a Tire, photograph. 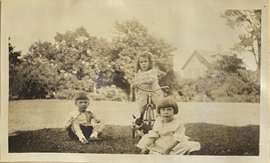 Wilder Penfield Jr., Barbara Rurcheneloss, Ruth Mary Penfield, Hugh Garrison, photograph. 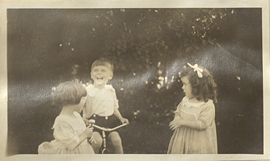 Wilder Penfield Jr., Ruth Mary and Vickery Hall, photograph. 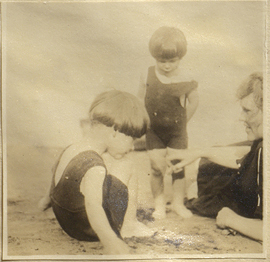 Wilder Penfield Jr., Ruth Mary Penfield, Helen Kermott Penfield at the Beach, photograph. 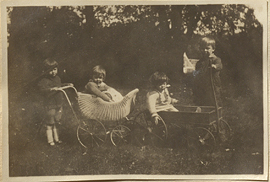 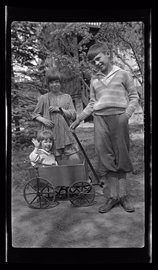 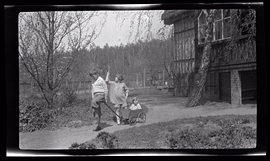 Wilder Penfield Jr., Ruth Mary Penfield, Priscilla Penfield with a wagon, negative. 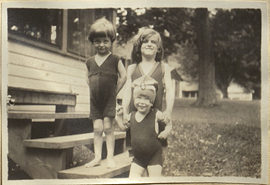 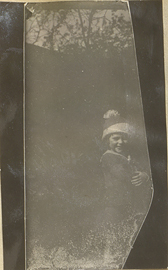 Wilder Penfield Jr., Ruth Mary Penfield, Unidentified Child in Bathing Suits, photograph. 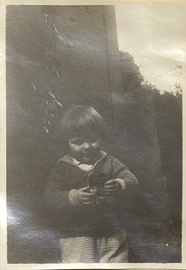 Wilder Penfield Jr., Ruth Mary Penfield, Vickery Hall, photograph. 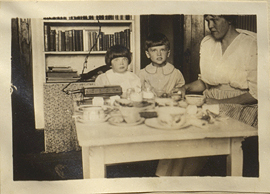 Wilder Penfield Jr., Ruth Mary, and Helen Kermott Penfield having breakfast in the nursery, photograph. 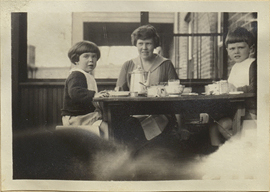 Wilder Penfield Jr., Ruth Mary, and Helen Kermott Penfield having breakfast on the porch, photograph.